The 6 warm and 6 cold colors on the color wheel. The basic 6 sharp and 6 flat key signatures of the musical Circle of Fifiths. . In the link above, I explain how the number square applies to an ancient American Indian site. To do this, the post explains one of the number square’s hidden codes. No #1100 seems be on the square. That is because you must work its polarities. Guess where it is hiding? This American Indian site is circular. It partakes of diameter of the 1100 diameter by feet. The 3 x 3 number square explains where 1100 comes from. This square of numbers was the guiding vision of a universal, lost Golden Age. Its 12 struts offered structural framework. Many of these civilizations had a 12 tribe structure. The numbers, together with their countless hidden codes, explain so many questions that seem unanswerable. The books of John Michell covers the universal 12 tribe aspect. The remaining six, Intermediate Colors – Blue-Violet; Red-Violet; Red-Orange; Yellow-Orange; Yellow-Green; Blue-Green. The numbers give specific meaning to the 12 struts of this number square. Four lines are trisected to create 6 horizontal and 6 vertical line segments. These become the 6 positive and 6 negative forces or groupings. They give structure to our thoughts, our history and the Universe. Filled in with numbers, they offer specifics. New Musical Theory Model Based on the Dodecahedron. We know about the circle of fifths. A quick review: In music theory, the circle of fifths (or circle of fourths) is the relationship among the 12 tones of the chromatic scale. It shows their corresponding key signatures. Also found arethe associated major and minor keys. Musical tones use 7 letters of the alphabet. They are A-B-C-D-E-F-G. These letters repeat over and over to encompass the full key signature span. 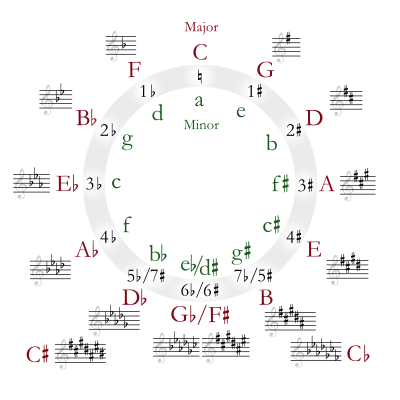 Circle of fifths show the relationship of major keys and their minor relationships. At the top of the circle, the key of C Major has no sharps or flats. Starting from the apex and proceed clockwise by ascending fifths. The key of G has one sharp. The key of D has 2 sharps….. Proceed counterclockwise from the apex by descending fifths: The key of F has one flat. The key of B♭ has 2 flats…… At the bottom of the circle, the sharp and flat keys overlap, showing pairs of enharmonically equivalent key signatures. The Dodecahedron is colored yellow. It it a 3 dimensional representation of the Circle of Fifths. Ascend 5 consecutive tones with each pentagon. The 12 pentagons make the complete cycle at F major. “F” major’s lower right hand tone is “C”. The outline of the dodecahedron is complete at this point. Masonic Symbol of Compass and Straight Edge. The Square and Compasses (or, more correctly, a square and a set of compasses joined together) is the single most identifiable symbol of Freemasonry. Both the square and compasses are architect‘s tools and are used as emblems to teach symbolic lessons. Explanations exist as to why they are significant symbols. An example being, “The square, to square our actions; The compasses, to circumscribe and keep us within bounds with all mankind”. I have been blogging about number squares, especially the 3 x 3. The symbol is traceable to this square. Most basic single element in the blueprint of the two Jerusalem Temples is the 3 x 3 square as pictured below. The 1st temple design is based on the triple square middle 951 row. The Holy of Holies was housed in the back 3rd. This corresponds to #9. The ground plan of the temple was 60 cubits in length. It was 20 cubits in width. This implies a total of three squares measuring 20 x 20 cubits. When the second temple was built, it was 60 x 60 cubits. That effectively fills out nine sub-squares of the overall magic square. Each little square effectively measures 20 x 20 cubits. So where, you ask is the square (which provides the straight edge) and the figure of the doubled compasses mentioned above? The answer is found by looking at the three consequtive sets of numbers: 123 provides the 1st compass. This sequence of numbers outlines an open-ended triangle. 456 provides the diagonal straight line. Finally 789 provides the second reverse compass to the initial figure of 123. This tiny number square is the backbone of civilization. At present, we in the West use a musical system called the Circle of Fifths. In it, the central triad of three tones (occupied by 951) is defined by two extreme left and right triads. These triads also have three tones each. The total is nine tones. The 438 represents the “sub-dominant”. It is a fifth lower than the center or “tonic.”The 276 represents the position of the “dominant”. It is a 5th higher than the tonic. The 5th is the key to the whole system. This corresponds tp “5” at the core. . In Davidic times there were no key signatures. Just tones. Tones were also defined by fifths. 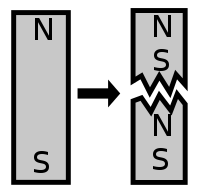 The ratio of vibration of the higher to the lower note of the fifth was 3 to 2. Specifically, we know that “diatonic “A” was set to 440 vibrations/sec. Diatonic “E”, a fifth higher, was 660 vibrations/sec. That too is also in this little number square. First we view horizontally: (49 + 35 + 81 + 94 + 53 + 18) + (92 + 57 + 16 + 61 + 75 + 29) = 660. Now view vertically: (43 + 95 + 27 + 34 + 59 + 72) + (83 + 15 + 67 + 38 + 51 + 76) = 660. That is our diatonic “E” when the numbers are equated with vibrations per second. Then look at the perimeter in the same way. We find the vibrations per second of “A”. 49 + 92 + 27 + 76 + 61 + 18 + 83 + 34 = 440. This defines the exact vibrations per second and ratio of the diatonic fifth. The basis of music, the above Masonic symbol and the Temples of Jerusalem share this number square. The purpose of this knowledge is to unify mankind. Why? For peace and plenty. The dodecahedron (regular solid made of 12 regular pentagons) was considered to contain the shape of the universe. Today, it holds the shape of our musical universe (circle of fifths). Our Musical Circle of Fifths and Plato- Is this connection crazy? After all, Plato was born about 428 BC. Our Circle of Fifths, which most of our present day music is based on, came into being in France and Germany in the later 1700’s and then spread to England in the 1800’s. Plato wrote extensively about the five regular polyhedrons; the dodecahedron, pictured above, being the most complex of the five. He speculated on their nature in Timaeus c.360BC. The 5th tone in the C major scale (which has no sharps or flats) is “G” as C,D,E,F,G. The last tone, “G” defines the home tone of the next major scale in the circle, G major. The 5th tone of the G major scale (which has an F sharp in the key signature) is “D” as G.A.B.C.D. The last tone “D” defines the home tone of the next major scale, D major. The 5th tone of the D major scale (which has F and C sharps) is A as D,E,F,G,A. The last tone A, defines the home tone of the next major scale, A major. This sequence keeps on going through all 12 key signatures of our circle of fifths. In the picture above, C#,Gb, and Cb are called enharmonic and are attached as doubles called by different letter names written out at the bottom of the illustration: C# and Db major are played on the same piano keys; as are F# and Gb major; and B and Cb major. Thought they are 15 by name, they are 12 by actual number. So where is Plato in all of this? The geometry of the dodecahredon parallels our circle of fifths as follows: If the defining 5 tones of the key are each set in the vertex of a pentagon, then the 12 scales perfectly outline the figure of the dodecahedron. As the Platonic solids considered perfect and totally symmetrical, and symbolized the totality of the universe; then we can say the same of our Circle of Fifths . It too is perfect, totally balanced and places us in this state of mind when we listen to it. Our Musical Circle of Fifths and Plato- translates to a new definition of music: Music is paradise in sound. The art offers no less. Being a musician, I developed an aptitude for numbers. Parents should know that study after study concludes that whether playing an instrument or singing ; music greatly increases a child’s aptitude for mathematics. When music is practiced before school, it raises the IQ as much as 10% for the entire school day. In its effect, practicing music is like a multiple vitamin for the brain. An example is Albert Einstein, arguably the smartest man ever, who prided himself on playing the violin. Our music of equal temperament helped to create what’s called a Circle of Fifths. Every time you ascend five tones in the first scale you can arrive at the new scale that hold the next key signature. After twelve scales by fifths, you complete an entire cycle and go back to the beginning key. You could easily frame the 12 keys of the Circle of Fifths on the 12 regular pentagons that make up the dodecahedron (see picture below), Not only the modern well-tempered scale; but the ancient diatonic scale was based on a series of ascending fifths with a final lower fifth from the starting tone. 5 solids that are regular: a numerical parallel. Our Musical Circle of Fifths can be superimposed on the each of the 5 vertices of the 12 pentagons of the dodecahedron. 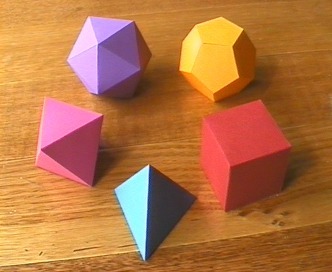 As these are the only 5 possible regular polyhedrons that can exist, these solids define a unique system of balance. Our music based on the Circle of Fifths shares this property with the dodecahedron and can therefore bring a sense of balance to us. I believe that my years with music through formal education, private lessons and working with great concert artists, helped me to develop the mathematical side of my thinking. I talk about the Lo Shu, pictured below, on my blog about the The Mysteries of Music Unearthed by Tick-Tack-Toe. Incidentally, the Bible is pointed in the use of scripture number to reveal its preference for this ancient magic square: Not only is 45 the chapter number in which Isaiah’s reference occurs, but 45 totals the numbers in this number square (1 + 2+ 3 + 4 + 5 + 6 + 7 + 8 + 9 = 45). While 2 + 3 ( the two verses in chapter 45) whose numbers when added together = 5. I think that sharply defines of the number square.